This IBM assessment centre guide includes practice tests, coaching videos and tons of tips and tricks for IBM assessment centre success. 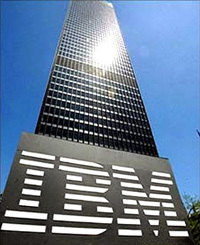 You can practice the IBM assessment centre tests here. The IBM assessment centre is notoriously long and challenging, and sadly the reality is that most candidates fall short. We received so many emails from people asking for help that we decided to create this guide to give candidates all the tools they need to succeed. Let’s get started! Ok, let’s cover the basics first. What do you have to do at the IBM assessment centre? We’re going to look at each element of the IBM assessment centre in detail. But before we do, here’s a short video from IBM UK with successful candidates sharing their top tips. Before we look at each of the IBM assessment centre exercises in more depth, we’d like to prepare you for group exercise work as a whole. The IBM assessment centre focusses heavily on group exercises, so it’s vital that you perform well in this area. How can you appear to be a team player but still shine individually, and show leadership qualities? What are the elite behaviours the assessors are looking for? How should you behave? For answers to all these questions and much more, you should read our Group Exercise Success Guide, and listen to our podcast on Group Exercises. Go and have a read and come back here when you’re done. Ready to continue? Ok, let’s look specifically at the IBM assessment centre group exercises. The assessors at your IBM assessment centre will split the candidate pool into smaller groups of 5-7 people. Each group will be watched by 3 assessors, who will concentrate on 2 candidates each. Your group will be asked to make a decision about a fictitious event or scenario. You will be supplied with plenty of background information in order to come to your decision but be aware that you will need to be able to explain how and why you came to your conclusion. Try and be the person who the reads the brief to the rest of the group. This shows assertiveness and drive and immediately makes you the early ‘leader’ of the group. Offer to be the timekeeper, to ensure the group stays on track. This is a brilliant and non-aggressive way to ensure you will be a central figure in the discussion. Make sure you read the brief thoroughly. It’s amazing how often nervous and eager-to-get-started candidates miss an important point or misinterpret the brief! In this part of the IBM assessment centre you’ll remain in the same group; this is helpful as you’ve already had a chance to assess the other candidates. If you felt unhappy with the first exercise, don’t worry. Take this opportunity to redeem yourself and show the assessors what you’re made of! This exercise is also 30 minutes long. You will be asked to plan an event for a would-be client. There will be plenty of information available to analyse and inform your planning. You must work together in order to get the most out of this time. This is a pivotal point in your IBM assessment centre, choose your questions wisely. The assessor/client will initially be deliberately coy about sharing this info (you have to work for it, that’s the whole point of this exercise!) so this killer question cuts through all that uncertainty, forces the ‘client’ to give up the most important details, and this provides a very clear brief for the group to work to. Your group will then have to present your plan to the client. It’s vital here that the timings and responsibilities are clear. TOP TIP: If possible, be the person who provides the final summary/plenary. Again this marks you out as a signifcant member of the group. After the IPAT test you get to take a breather. Phew! Unfortunately for most of the candidates, they will be sent home at this stage. Let’s make sure that you are not one of them. The IBM assessment centre afternoon session begins here, with this role-play exercise. You and your partner will be given 20 minutes to prepare for a task. You will need to digest lots of information and to plan your Big Idea during this period. At the end of the 20 minutes you will both be invited to role-play, with your assessor acting as the client. 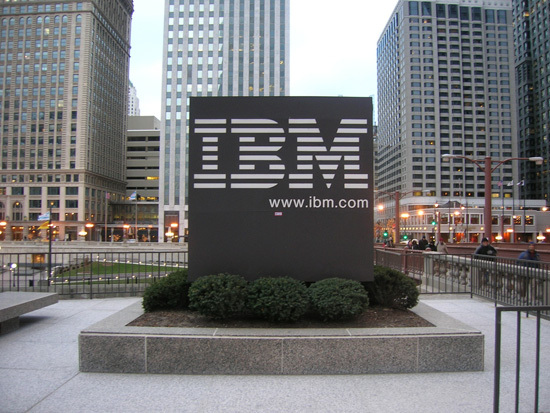 You and your partner will be acting as representatives of IBM who are pitching your idea to the client. TOP TIP: Get clarity on your idea early on, then spend the majority of your time on how best to pitch it. Check out our Role-Play Masterclass, Role-Play Success Guide and Role-Play Podcast for much more help in this area. If you have to do a presentation you’ll have been given your topic in advance, allowing you to research and prepare beforehand. You should read our success guide for assessment centre presentations. ACTION POINT: Set aside 60-90 minutes in your preparation for the IBM assessment centre preparing an example of when you’ve demonstrated each of these competencies. Think of examples from your own experiences, that show each competency in action and make sure you communicate the outcome. Competency-based interviews are formulaic – you must communicate in that formula to score highly. Learn more about IBM’s core values and recruitment strategy on the IBM careers site. This is vital. You will be asked why you want to work at IBM. 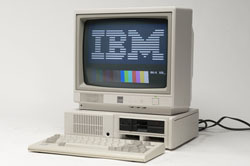 You will be asked what you know about IBM. Spend an hour or two learning about its history, the company has an interesting background. Spend at least 1 hour going through IBM’s latest annual report. How is the company performing at the moment? Turnover? Net profit? What areas of the business are growing? What areas are shrinking? Is the market up or down? In which areas? 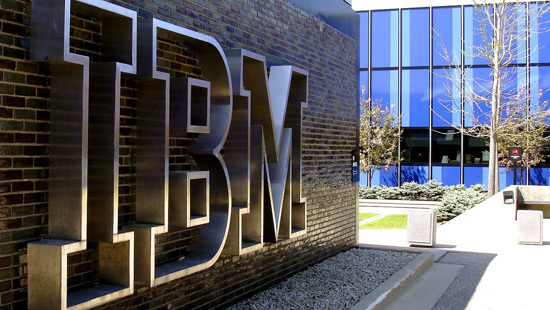 How are IBM’s competitors performing? What are IBM’s aims? What are they looking to acheive in the next 5-10 years? One of the mistakes many young graduates make is they fail to see the ‘big picture’. At your IBM assessment centre, you can impress your interviewers by having a grasp of these big picture metrics and discussing them with confidence. These are the metrics all large corporations use to measure their progress; candidly discussing them marks you out as a potential future leader. At the end of your IBM assessment centre you will be given a chance to ask questions of your interviewer. It’ll be tempting at the end of a long day to say “no thanks, we’ve covered everything”, but you should ensure you ask at least 3-4 questions. This video has a host of questions from real IBM interviews. It also has some useful hints and tips for how to answer. Be confident, be energetic, be positive. Interviews can be a thing to dread or a chance to shine, it’s all about your midset. Seize the chance to shine at your IBM assessment centre. Few things are more disappointing than a missed opportunity, especially when nerves are to blame. Anxiety can undo all your hard work and preparation. If you’re concerned about your nerves, read our guide “how to cope with nerves at your assessment centre“. You need to know your CV inside out. You will be asked about it in more detail, including your previous roles and why you left them. Be prepared for this. Your CV will form the basis of your interview, this is the framework you and the interviewer will walk through, so own it! If you take only 1 thing from this guide, let it be this: Your success will be decided by your preparation. You should read our guide “how to prepare for an assessment centre“. You should read our “group exercises success” guide. We hope you enjoyed this free guide? We wish you the best of luck in your future career and at your IBM assessment centre.